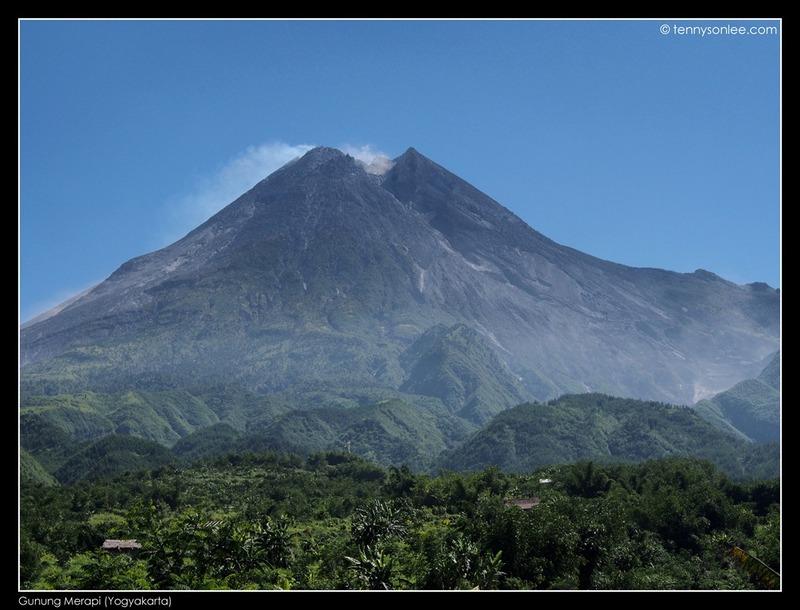 Mount Merapi is the most active volcano in Indonesia, and possible in the entire region. The reason I made the trip to Mount Merapi because of the touching graffiti on the ruins. 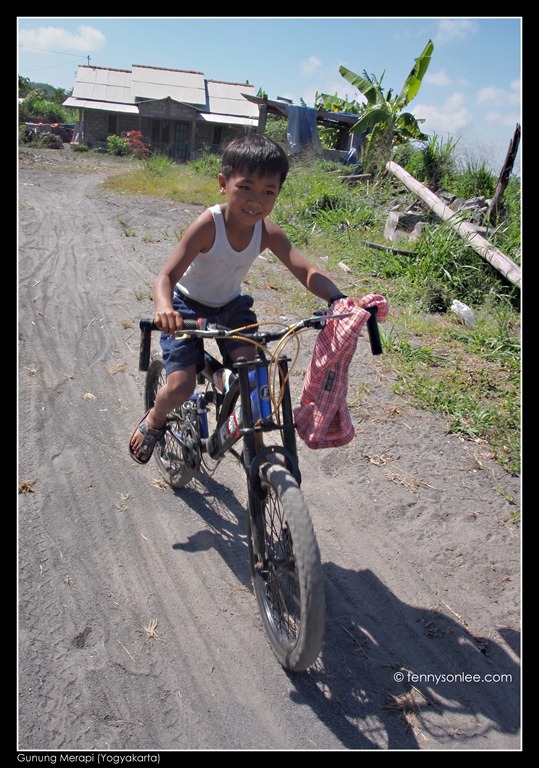 I saw them on the Internet about Kaliadem Village, which was destroyed during the October 2010 big eruption. 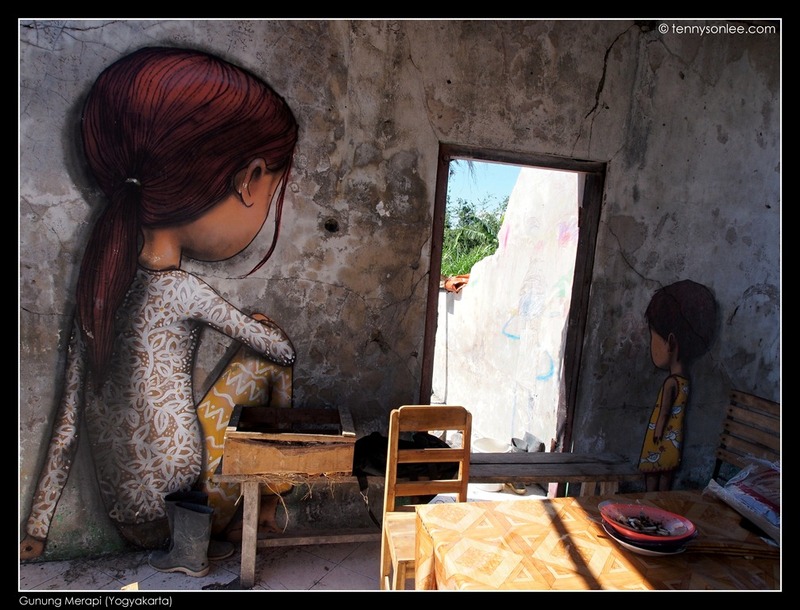 I never seen any graffiti on the wall that gave me as much emotional impact as these artworks did on the ruins. 153 people had been killed on 2010. 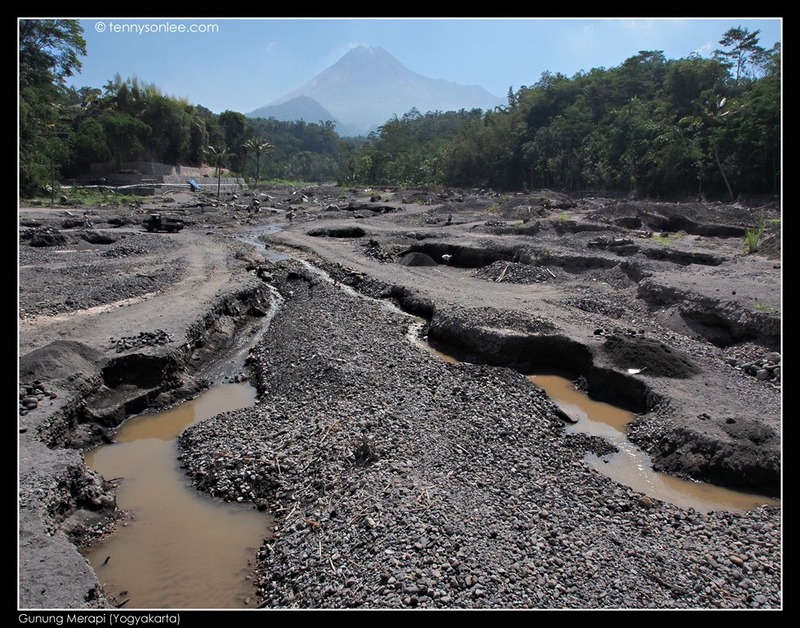 The lava flowed through the valley and below is the sight after 2 years. 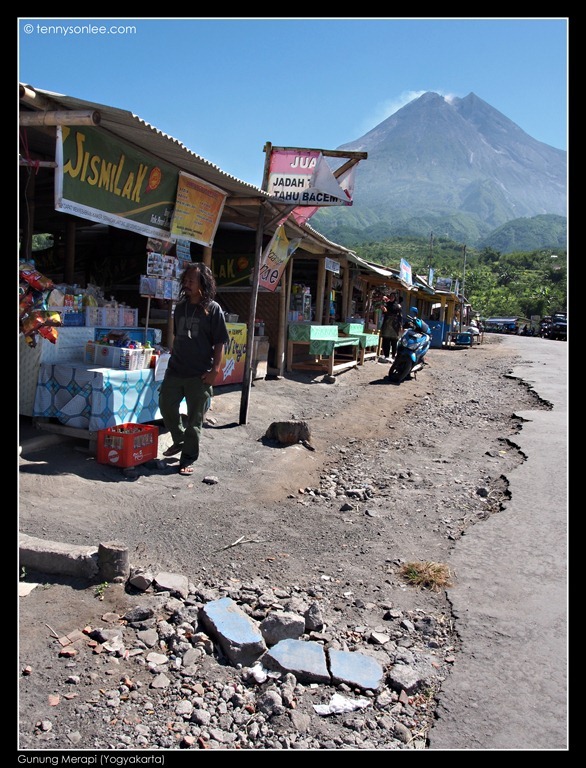 Locals still like to live near the dangerous volcano due to the fertile land. There are mountain bikes and four-wheel drive vehicles bringing tourist for a tour. Some even attempt the hike to the summit to watch the sunrise. This highly volatile volcano still erupts every four years. 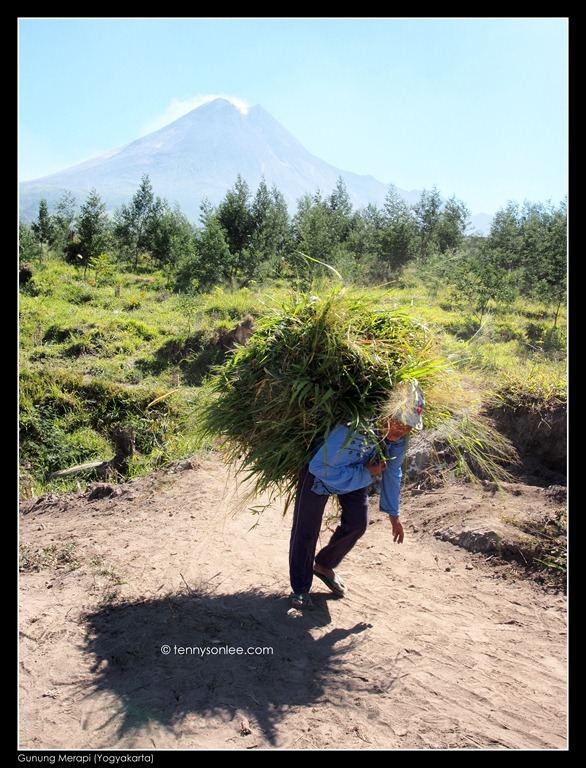 It is amazing to see many farmers still living in close proximity to active volcanoes for the sake of finding a living. Hopefully the seismic monitoring technologies can help to give early warning to evacuate the villagers and save more lives. 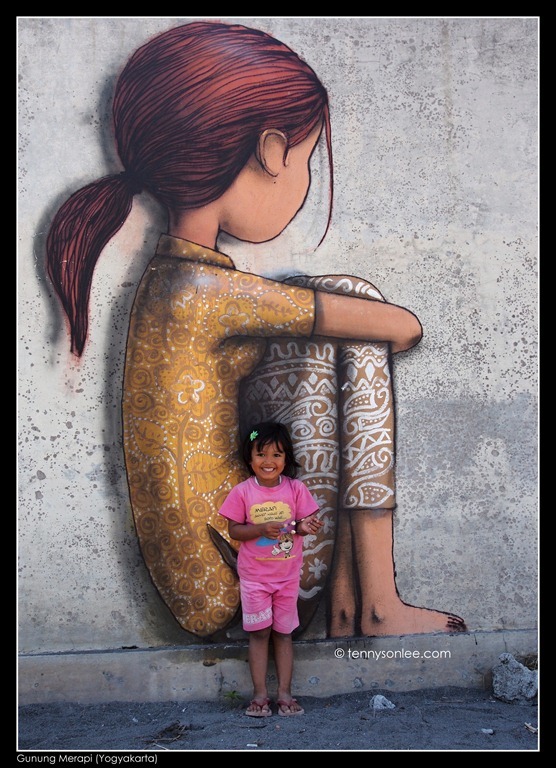 This entry was posted on July 28, 2012 by Tennyson. 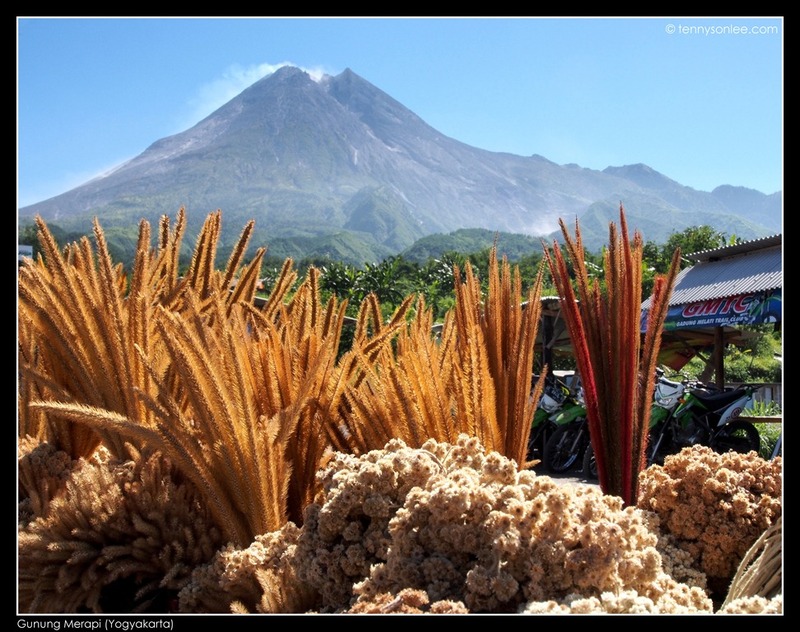 It was filed under Indonesia, Places, Yogyakarta and was tagged with Gunung Merapi, Jogja, lava, Mount Merapi, volcano, Yogya.